In Montreal’s vast restaurant landscape, there’s something for every taste – especially if you like Italian food. 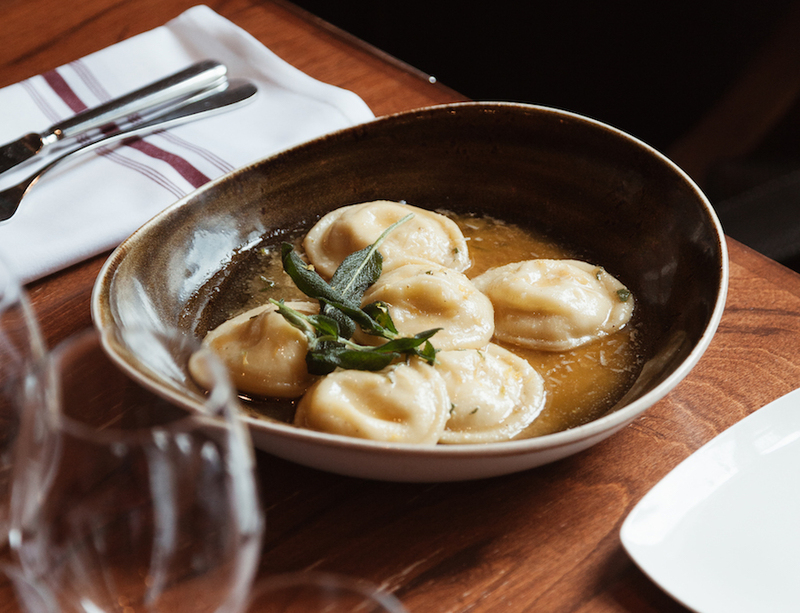 From quiet corners in mom and pop restaurants to fancy white-glove fine dining, Italian food is available for one and all in Montreal. Joiea Sociale is a blend of several different styles and they all work well. The restaurant’s decor (taking over from Mercuri) didn’t change much from the previous restaurant but that’s because there was no real need to. The decor is spectacularly timeless and youthful, which plays into exactly what this restaurant hopes to delivery. While the decor reads high end, the service is friendly, familiar yet entirely knowledgeable. The food, which we tried “family-style” early last week was unpretentious yet boldly flavourful. It will be a joy for you to want your friends to try what you’ve ordered when you come here. The focus of Joiea Sociale is community. 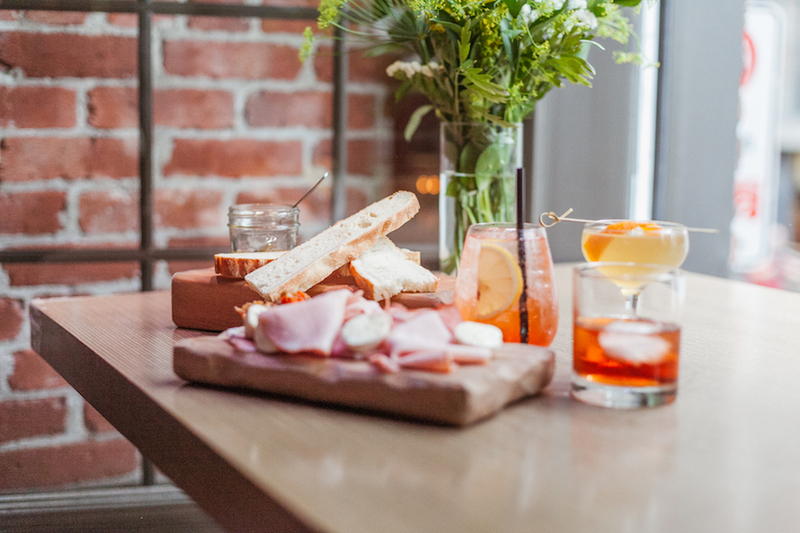 They want to foster an Italian-inspired gathering place where patrons can come and unwind while enjoying a traditional “Aperitivo” before moving on with the rest of their night. An Aperitivo is a little like a 5a7 in that you’re out for a quick drink and bite before dinner. At Joiea Sociale they pride themselves in bringing their guests surprise bites that will pair perfectly with the cocktail of their choice. The burrata – I’m a big fan of this semi-firm, milky cheese and when paired simply with Joiea Sociale’s fresh vine-ripened and roasted cherry tomatoes, the result is hard to pass up. Sopping up the juices with fresh, olive oil drizzled, rosemary focaccia is heavenly. Sorrentino con ricotta e limone – Pasta is awesome but it’s hard to go into an Italian restaurant and order pasta when it’s so readily available everywhere. This sorrentino though, which is stuffed with fresh ricotta and lemon and served in a rich brown shallot butter with sage, was one of my favorite dishes of the night. It was bursting with flavour and the perfumed sage added a depth to the lemon and ricotta which was surprising! I highly recommend this dish. 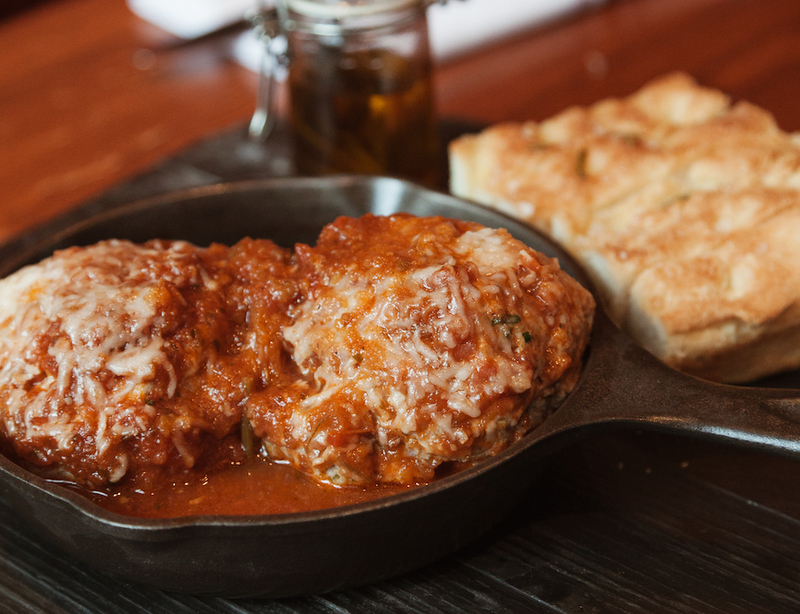 Polpettes – Thes savoury veal meatballs are the perfect answer to a meat craving that’s not going to overtake your entire meal. Joiea Sociale doesn’t try to do anything wild to this traditional recipe – instead, they still to the classic which we are all better for. 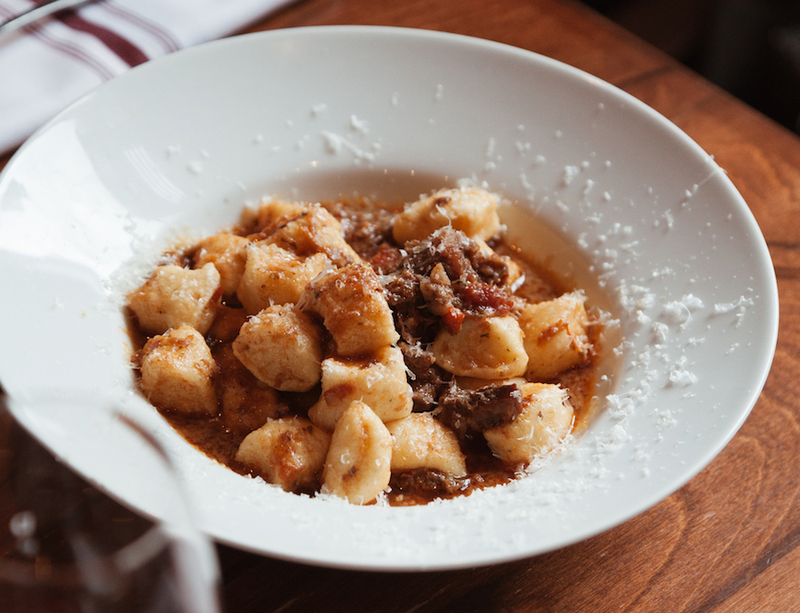 Lovers of Italian food will enjoy the fresh ricotta gnocchi, the flavourful pizzas and for those looking to sink their teeth into perfectly cooked steaks, lamb, seafood and porchetta, Joiea Sociale’s menu is rich with choice. To learn more about the restaurant, visit their website here.